The white base of this designer bangle offers it the planning of getting been crafted from ivory. 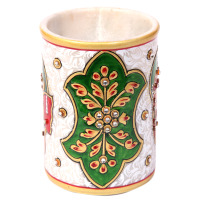 The white base of this designer bangle gives it the look of having been crafted from ivory. 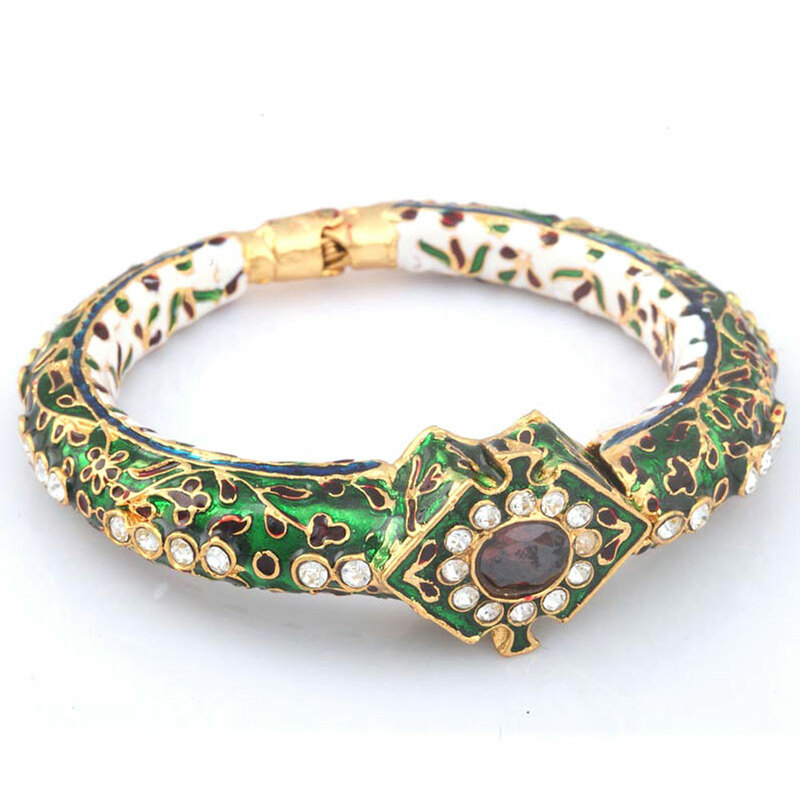 Adding to its exclusive beauty are the magnificent Read More..minakari work in green and red, the white stones, the gold plated brass metal work and the strategically placed diamond shaped design in the center. Show Less.. The confident strokes of minakari work and the dazzling beads all add to the beauty of this decorative pen stand which doubles up as gift item.